Redesigned display, simple and efficient design, mobile users can count on Kingsoft office suite. 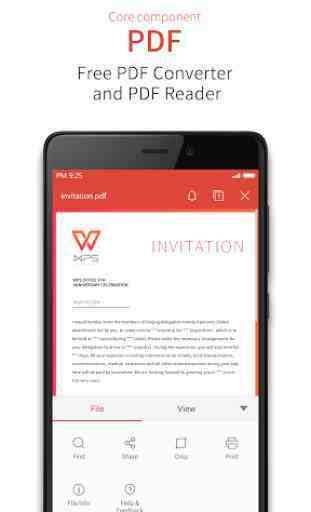 WPS office app has the merit of containing the entire pack of the office suite, by downloading it you automatically have access to Writer, Presenting,Spreadsheets and PDF reader. The suite offers the fundamental without embellishment, free of charge. Advertising is not invasive and it is easy to do without the premium version. 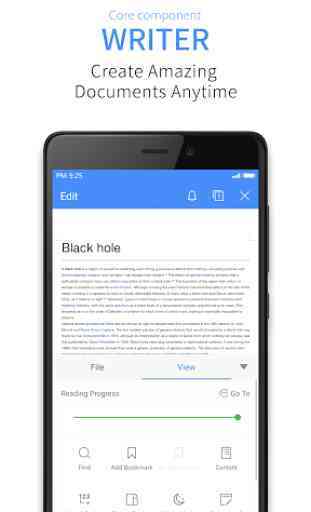 The PDF reader app is very easy to use, but offer some very interesting features for mobile phones. The app also proposes to adapt the way the text is displayed on your mobile screen. It will ensure that you do not need to zoom to have a readable text size. The text display is adaptable to your needs, adjust the gap between the lines, font size or even the color of the background. A night mode is suggested, useful in case of low light. An icon showing you the state of your battery might seem like a gimmick, but it is actually very useful. WPS Office is not done with surprising you. 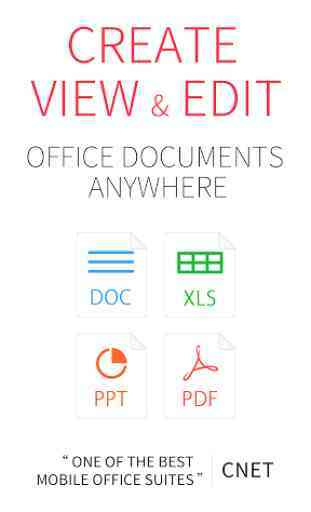 The different elements of the office suite offer to save your files in an encrypted format. A safety warranty. Choose a password and protect sensitive or personal files. 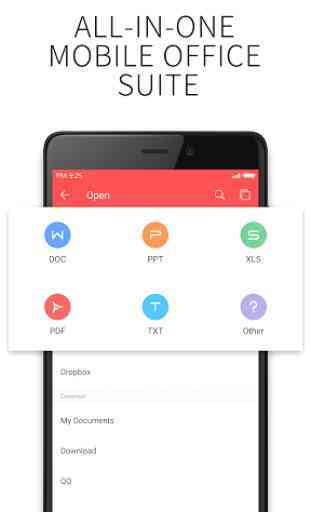 The app allows you to print your files through Google Cloud Print. Writer also has a reading only option and you can choose if you want to scroll down or turn the page like a book (also available with the PDF reader).